When the folks at Kawasaki reached out to <i>COWGIRL</i> about trying out their newly redesigned MULE PRO-MX Side X Side, we were psyched. COWGIRL‘s fashion and online editor makes a splash in the new MULE. When the folks at Kawasaki reached out to COWGIRL about trying out their newly redesigned MULE PRO-MX Side X Side, I was psyched. As both a passionate horsewoman and a motorsport enthusiast, the MULE appealed to each of my favorite thrills! However, I was skeptical. The MULEs of my past hadn’t been very enjoyable to jaunt around the ranch with their hard-to-reach steering wheels, uncomfortable seats, and less-than-smooth power. However, the 2019 model was designed to overcome these flaws; advertised to be one of the best work AND play side-by-sides on the market. But was it? After romping on miles of dusty, rocky, steep trails up and down the foothills of California’s Santa Margarita wine country, I can tell you, “Yes.” The flaws of the MULE of old have been acutely addressed in the new model. An adjustable steering wheel makes driving for a shorter female immensely easier (no more stuffing feed bags behind my back), changes to the transmission and clutch provide smoother acceleration, and the newly contoured seats are remarkably more comfortable. All these sporty new updates and the MULE has still not lost an ounce of its ranch utility. From hauling and dumping manure, to dragging arenas and doctoring cattle in rough terrain, this MULE has the ability to do it all. 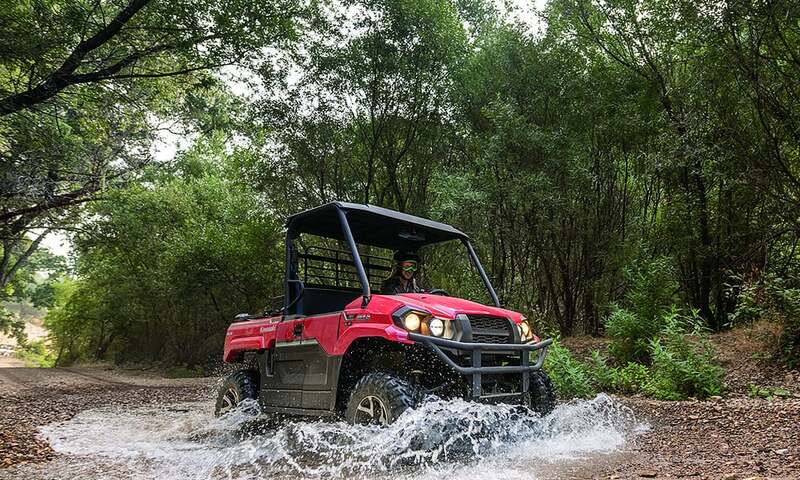 The final word: The updates to the 2019 Kawasaki MULE PRO-MX have made it a lot more fun for play without losing its invaluable ranch utility. Check out the new MULEs at kawasaki.com.